On November 1, 2014 (also Karnataka Rajyotsava Day) a motley gang of 6, displayed the labor of their love at the Karnataka Chitrakala Parishad. 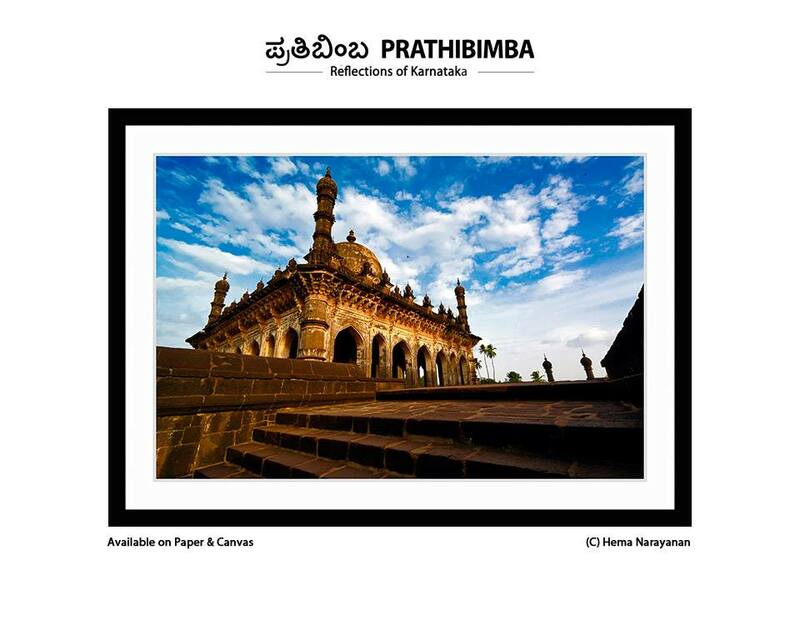 Photographs taken over a 3-year period, traveling through the width and breadth of Karnataka. It was difficult to choose around 48 frames out of the more than 30-40 trips we had made individually and collectively. But, it had to be done. That’s all we could fit into the hall we had booked. What we remember though was that it was some of the best times we spent discovering the rich and abundant state of Karnataka, my home for nearly 10 years of my life. Not only did we challenge ourselves from an artistic angle, learning from and motivating one another; we also had some really fun times. Here’s a glimpse of some of the frames we displayed. My frame capturing a delight of a little boy jumping into a temple tank at Melkote. Hema Narayanan’s iconic shot of the majestic Ibrahim Rauza. Raghavendra’s unique shot of the massive Bahubali at Sravanabelagola. Renith’s much admired (and sold many times!) 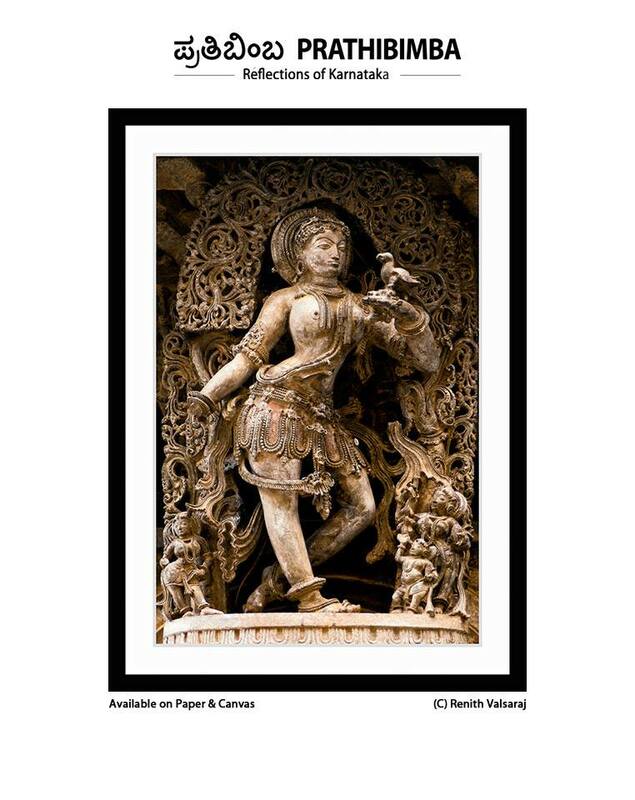 shot of an “ideal woman” frozen in time at the Chennakesava temple. 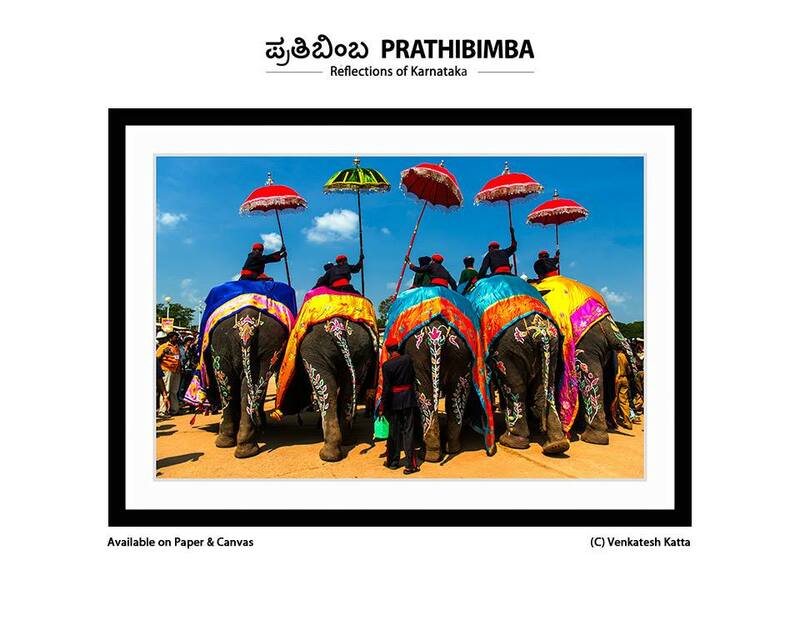 Venkatesh Katta’s colorful and vivid image of one of Karnataka’s most famous festivals – the Mysore Dussera. We learnt so much from the time we spent together. But most of all, all of us forged a unique friendship that’s rare to find. While we had grand ambitions of putting a book together, we ran out of steam. And funds! But I hope we can get together someday again to work on another project! 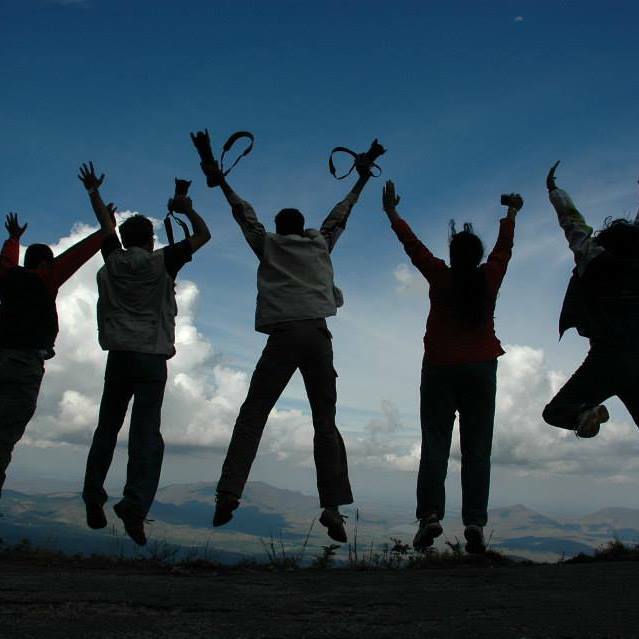 The joy of photography, travel and having fun together!